On the 26th of March 2015, the reborn unit 'Country Girls' had an event at Ikebukuro Sunshine City's Fountain Plaza to commemorate their newly released single 'Itooshikutte Gomen ne / Koidorobo'. Here are some of the highlights, gleaned from various coverage videos and articles. 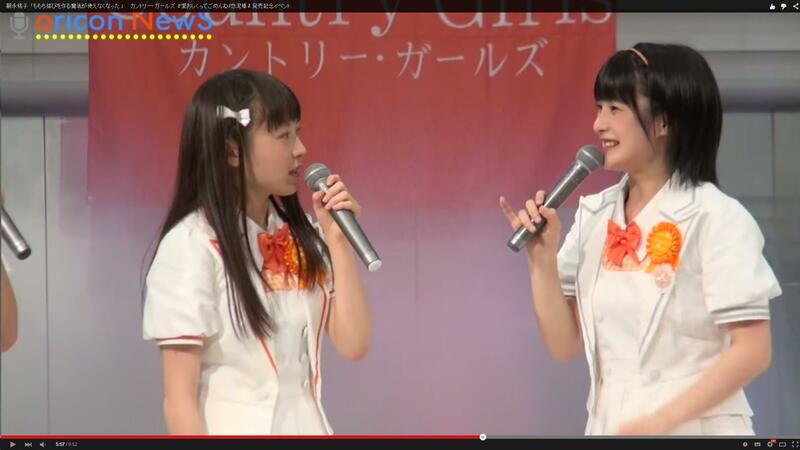 One MC has the girls asking Momochi-senpai questions. And after that, there was the usual press conference. Momoko: 'Actually, Berryz Kobo entered our hiatus on the 3rd of March, and since then I've been unable to use the magic that forms the Momochi Musubi. So now it's like this, but what I think is that now, if I do the Momochi Musubi, the 5 of them...well, this might sound a bit rude, but "it might overshadow them", so I think that this kind of balance is good.